Card completo do NXT TakeOver: New York - Blood Wrestling - Aqui o Wrestling é nosso sangue! 2 out of 3 Falls Match pelo vago NXT Championship: Adam Cole vs. Johnny Gargano. 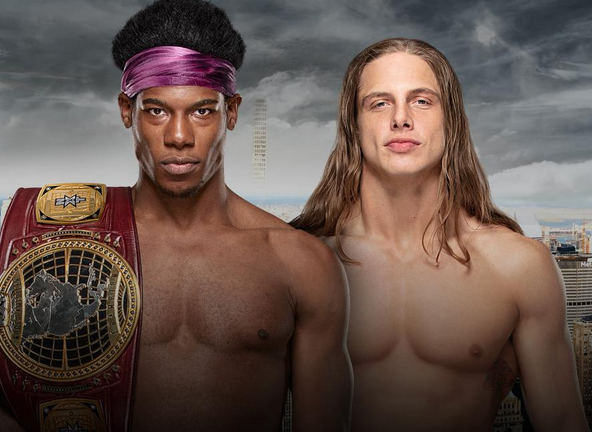 NXT North American Championship Match: Velveteen Dream (c) vs. Matt Riddle. NXT Tag Team Championship Match: War Raiders (c) vs. Aleister Black e Ricochet. United Kingdom Championship Match: Pete Dunne (c) vs. WALTER. NXT Women's Championship - Fatal Four Way Match: Io Shirai vs. Shayna Baslzer (c) vs. Bianca Belair vs. Kairi Sane. O Pay-Per-View NXT TakeOver: New York terá cobertura em tempo real no site e twitter do Blood Wrestling.